The Patrick Evans Foundation is thrilled to be supporting the Tadworth Children's Trust through funding music therapy for children with brain injuries. The Children's Trust is the UK's leading charity for children with brain injuries, helping them make the best recovery possible after a serious accident of illness and also running a special school for children with brain injury and profound and multiple learning disabilities. The Trust is based in the Patrick Evans Foundation's home terriority of Surrey, but supports children and their families across the country. 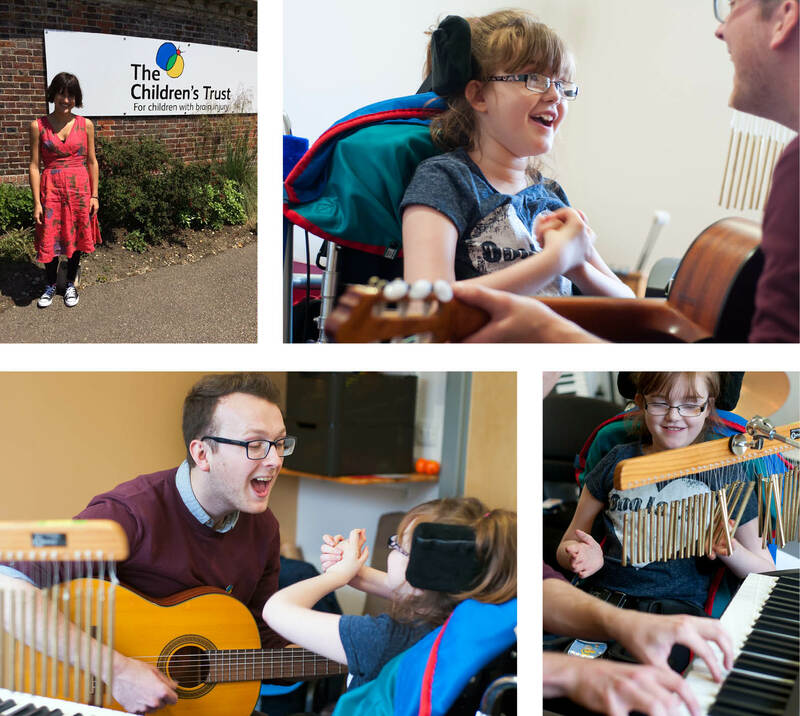 The Foundation is supporting the Trust through funding for a year of interactive music therapy for three children. The sessions are a vital tool to help children communicate and express themselves when they may not be able to do so verbally. The therapy can also support rehabilitation goals - for example using vocal activites to strengthen their breathing and ability to swallow. Catherine Evans and Louise Heaton - Patrick's mum and sister - went to visit the Trust in May 2015 and make the donation, and we are looking forward to supporting the charity in its important work.